Konidela Production Company. The film features with egastar Chiranjeevi, Amitabh Bachchan, Jagapathi Babu, Nayanthara, Tamanna, Kiccha Sudeep, Vijay Sethupathi and Brahmaji. 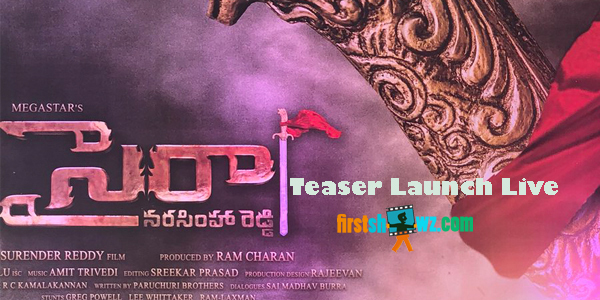 Surender Reddy is the director and produced by Ram Charan under his home production house Konidela Production Company. Music by Amit Trivedi.